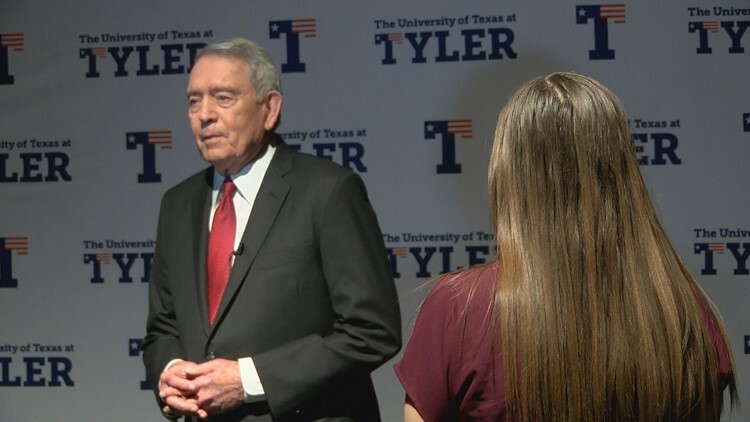 Dan Rather is speaking at the University of Texas at Tyler. It's happening on Tuesday, March 19 as part of their Distinguished Lecture Series. 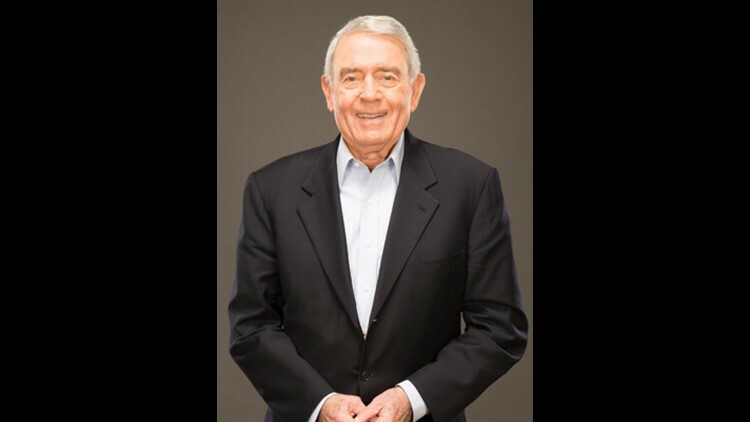 TYLER, Texas — Journalist Dan Rather is speaking at the University of Texas at Tyler on Tuesday night for the university's Distinguished Lecture Series. It will begin at 7:30 p.m. at the UT Tyler Cowan Center located at 3900 University Blvd. Tickets can be bought at the door. Rather's spent six decades as a journalist starting out in radio and transitioning to broadcast. "I got into journalism because I wanted to do something that counts," Rather said. "I wanted to have a purpose and be something larger than myself and journalism has given me that opportunity." He was with CBS for 44 years and spent 24 of them as the CBS Evening News anchor. "Let's face it, I've been really lucky and really blessed," he said. Rather's has interviewed every president since Eisenhower and personally covered history-making events. While he said that he will not be focusing on his career, he will share some stories with the crowd. "I know I may touch on them or have something about Dr. King, but what I've been asked to speak about tonight is one to assess where we are as a country and as a society." For the lecture, Rather said he's been asked to talk about what can people do to make the country better, where does he think society is headed, and what can every person do to help. "Well to me, you know, in these perilous times and I think this is very perilous time in the country," he said. "Number one is don't give up, don't be cynical." He went on to explain the power of voting. "Be active, get active," Rather's explained. "It isn't just you voting and getting people to the polls, but staying active hour in, hour out, day in, day out, weekend, weekend to be active." The last answer he said is for people to start every day by asking what can I do for some other person and for the community.